The Alexander Dawson School hosts and facilitates workshops to provide current research in parenting and child development, as well as Parent Education Piece curriculum sessions that are intended to provide opportunities to help parents support their child’s educational experience. The goal of the parent education initiative is to increase family involvement and awareness of the Dawson Mission and Vision, which empowers students to be successful in school and in life. Dawson parents are critical to the life and the community of the School. The relationship between parents and the School is one of reciprocity: The School provides services and communications; in turn, the School often relies upon enthusiastic parents to volunteer their time and talents. In conjunction with the Parent Association Executive Committee, The Alexander Dawson School hosts and facilitates workshops on current research in parenting. The purpose of these events is to create opportunities for community building and insight that will help parents become full partners in their children’s education. The goal of the parent outreach initiative is to increase family involvement and awareness of the Dawson Mission and Vision, which empowers students to be successful in school and in life. Continuing Dawson's tradition of introducing to our community transformative and expert speakers who are leaders in their field, the 2018-19 Parent Education Speakers Circuit will deliver insight with motivational and encouraging ideas to help parents develop the will and the way to create a positive impact on your child's life. We invite you to take this journey with us as we work to create an arena of positive change, not only within the Dawson campus, but throughout our community as a whole. Join us for a presentation, "Establishing Strong Parent/Child Communication Lines: Talking to Kids About Social Justice, Equity, Diversity and Inclusion", with national consultant Jen Cort. Thursday, October 11, 2018 at 5:30 p.m.
What students are facing as they balance their online social interactions with their real-time friendships. - What the school is doing to proactively prepare students for these challenges. - How the school reacts to poor choices with technology use. Parent support: What can families do the help their child live a balanced digital life and develop social-emotional tools for navigating the effects of social media. Wednesday, November 28, 2018 at 8:30 a.m.
Dawson's Challenge Success team (including parents and students) will present to families about what Challenge Success looks like at Dawson. Join us for a special presentation with Jen Cort. Wednesday, April 24, 2018 at 8:30 a.m.
Jen Cort will close out our Parent University series with a presentation on the college admissions process. At the heart of The Alexander Dawson School is the wonderfully warm and caring relationship formed between teachers and parents as they become powerful educational partners. Together, we help children express their own ideas, giving them the tools to build skills and navigate new learning possibilities. 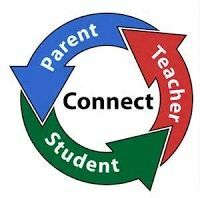 Dawson hosts several curriculum events throughout the school year as a means to more deeply involve each student’s parents in their child’s educational experiences. The goal of our Parent Education sessions is to provide a glimpse into the intentional instructional practices we use and the research behind our curriculum selections. The Dawson Mathematician on Tuesday, October 16 at 8:30 a.m.
For parents of all Dawson students. A Glimpse Into the Middle School Years on Tuesday, January 15, 2019, at 8:30 a.m.
For parents of fifth-grade students. A Glimpse Into Fifth Grade on Wednesday, January 16, 2019, at 8:30 a.m.
For parents of fourth-grade students. A Glimpse into Dawson's Health & Fitness Program on Tuesday, February 26, 2109, at 8:30 a.m.
Human Growth & Development Parent Talk on Tuesday, April 2, 2019, at 8:30 a.m.
For parents of students in fourth grade through eighth grade. A Glimpse Into Dawson's World Language Program on Tuesday, April 9, 2019 at 8:30 a.m.
For parents of students in first through fourth grades. Love & Logic Intro with Tawanda McIntosh on Thursday, April 11, 2019 at 9 a.m.
For parents of students in preschool and pre-K. Welcome to the K-8 Experience on Tuesday, April 30 at 8:30 a.m.
For parents of pre-kindergarten students.